Chauffeured Transportation and limousine services in Savannah, GA and Hilton Head Island, SC. Established in 2002 – Savannah Georgia based executive transportation and limousine service. Today company has an entirely new fleet of executive Sedans, SUVs, Vans and limousines. We accommodate any event or occasion. Always welcome reservations for Weddings, Proms, Concerts, Graduations, Dinner outings and Airport transportation, as well as large group and corporate events. We have special rates for out of town trips to sporting events to see your favorite Football team playing home game or out of state. What ever your destination is today: safe way to town and back, Gambling or a Cruise-ship vacation we can take you there. Corporate or individual accounts are always welcome. Please call or e-mail us from this page for more details. What Makes our Company Transportation Company Different? With Savannah Limo, you can book your transportation in advance. There is no wait time, as with a taxi service. With us, you get prompt, reliable transportation service every time! No wait: Secure your limo, Town car, SUV, or Passenger van, in advance! There are no waits with us. We will be there on time. Group Transport: Your group can travel together in style by calling savannah Limo! Reserve one vehicle for your whole group to travel together, and save on costs and time. Professional Image: Our vehicles are meticulously maintained, cleaned, serviced and inspected. You don’t have to wonder who is picking you up and what the vehicle will look like. Our drivers are professionals. 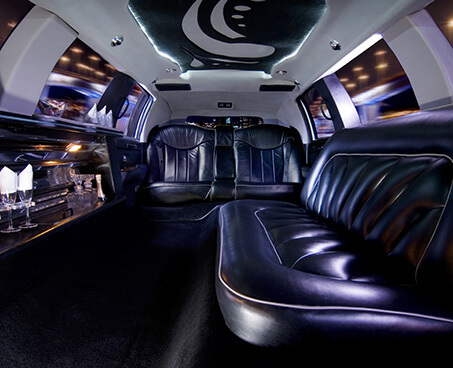 Luxury Options: We have a fleet of luxury automobiles and limousines to assist you and get you to your event on time.